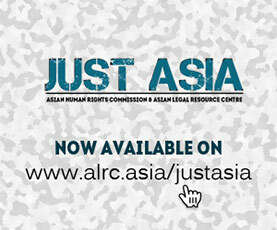 The Asian Human Rights Commission/Asian Legal Resource Centre works towards the radical rethinking and fundamental redesigning of justice institutions in Asia so that the institutions transforms into effective instruments of human rights protection and guarantors of democracy. The Founders of AHRC/ALRC had a broad vision of upholding human rights in Asia, which were expressed in abstract terms. Over the years, the AHRC/ALRC has redefined its vision to reflect its experience based on extensive engagement in human rights activism in Asia. Building a wide network of partnerships and contacts and assisting civil society and victims of human rights abuses, in order to achieve the aforementioned work in light of the vision.